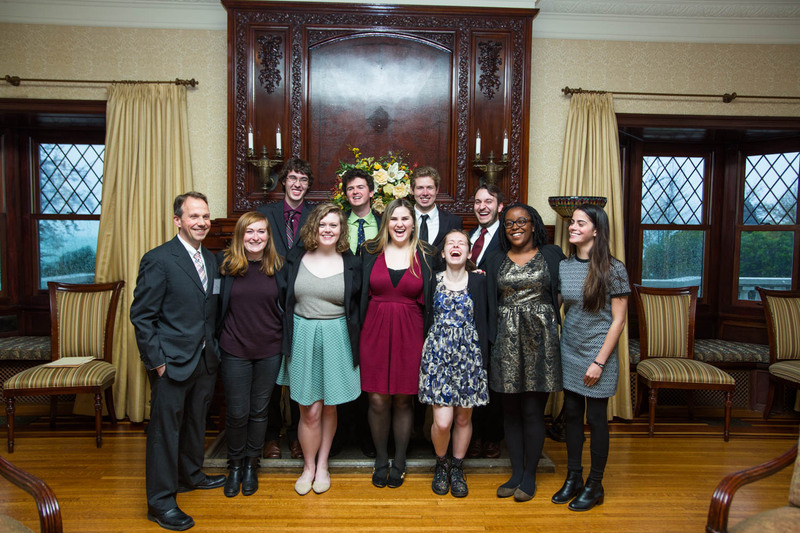 The 2015-16 Ramonat Scholars celebrate their final time together. On Saturday, April 30th, the Ramonat Scholars, their families, and Loyola faculty gathered in Piper Hall for presentations of their final research projects. The event was a fantastic success and a good time was had by all. For pictures of the event, please visit the History Department Flickr page. 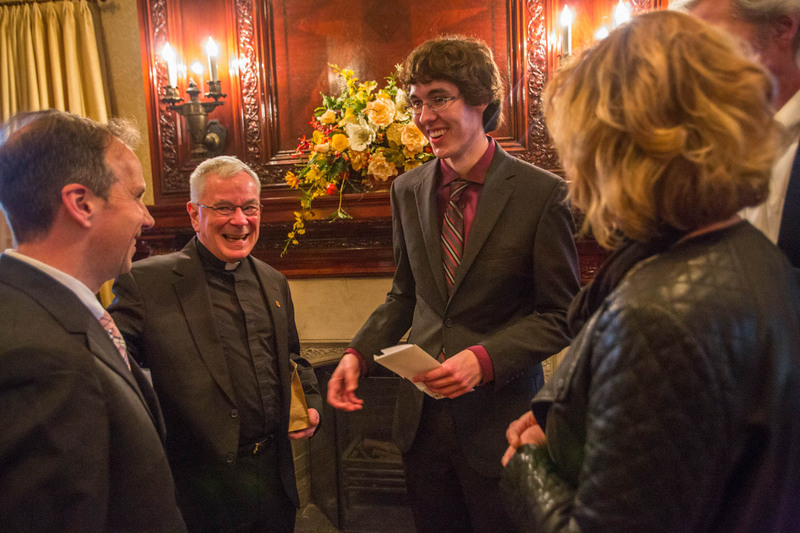 Ramonat Prize winner Dan Snow is congratulated by Prof. Kyle Roberts and Dean of the College, Tom Regan, S.J.